They came along with me today to Bristol’s Shortest Art Trail (in 2 houses 2 doors apart). We all had a jolly time drinking mulled wine and talking to lovely local Fishponds people. One of the other artists suggested I should put hanging loops on them so they can be ornaments – so obvious, why didn’t I think of that! 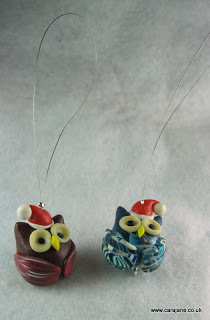 Watch this space for Christmas owl tree ornaments! 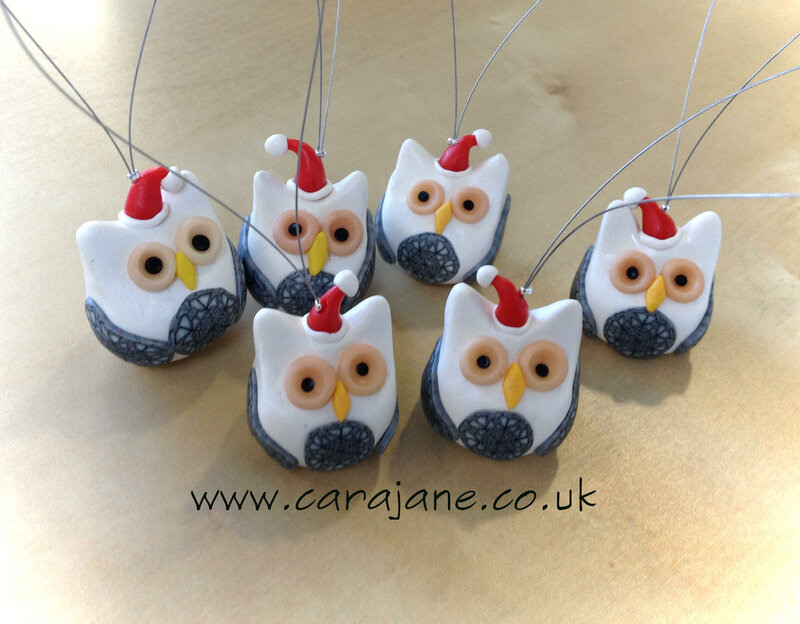 All these owls were made from scraps from my latest red and green jewellery set – I’ll show you that when I have strung the necklace. Cara Jane ~ Your Owls and the sleeping cat are adorable. 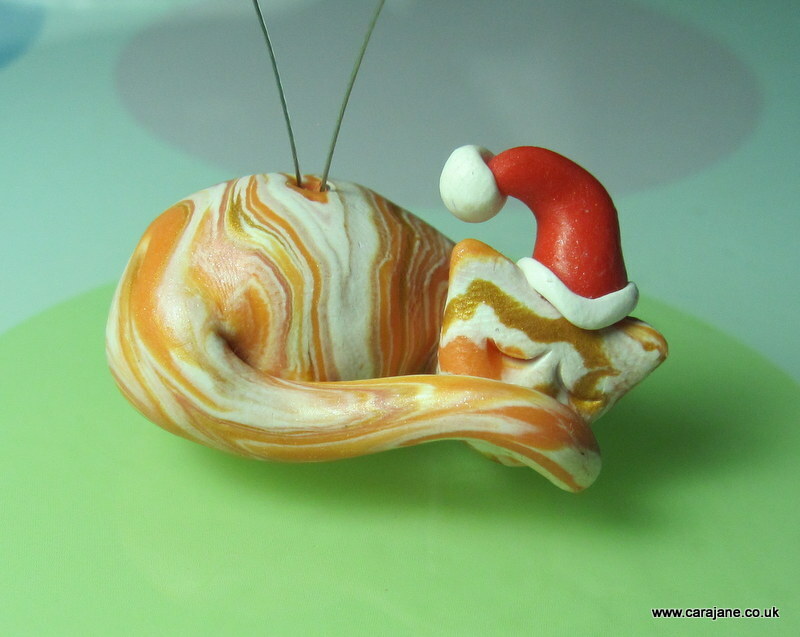 I love the little hats ~ and the idea of hanging them on a Christmas Tree is wonderful. 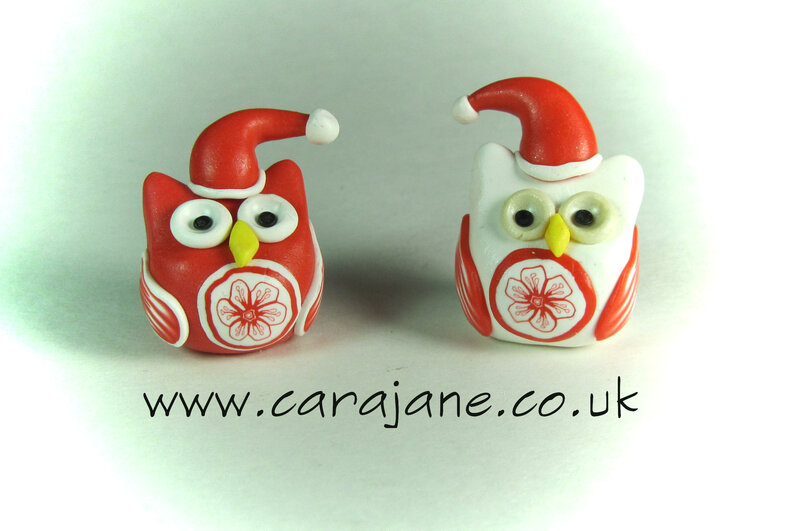 Your Christmas Owls are very sweet Cara! Merry Christmas to you and your family, if I don’t get the chance to say it later. Hope you have a wonderful holiday!